Here’s to all the photographers who love capturing moments in frames. Be it the digital cameras or old fashioned film rolls- they all have one thing in common- they create memories. The 21st century is an age heavily influenced by graphics. 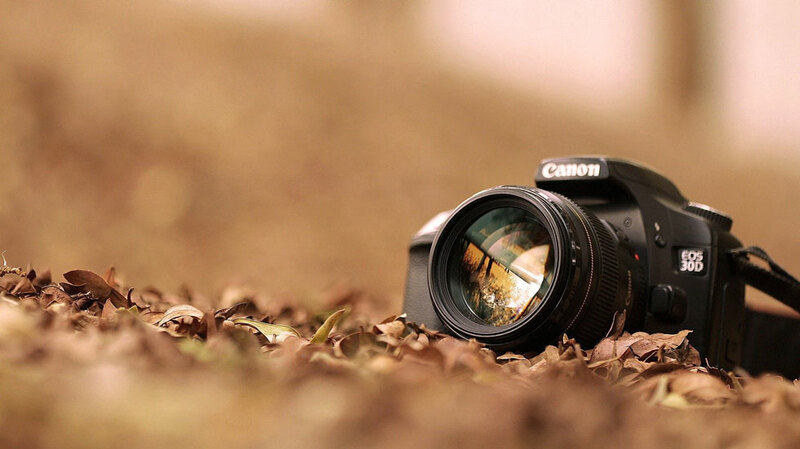 The DSLR camera are no longer a luxury, it has become an important part of our lives. Moreover, the wide variety of digital cameras offering tons of features further fuel the demand. From professional photographers to travellers, there is something out there for everyone. What is the first brand you think about when you say cameras? Yes, ever since 1937, Canon has been the undefeated camera manufacturer in the world. A brand so powerful it is almost synonymous to camcorders and DSLRs! Earlier the company incorporated lenses and optical glass from Nikon but with the recent technology updates it can now produce its own unique Penta mirror and commercial quality lenses. This global leader in digital cameras is miles ahead of its competitors when it comes to innovation and quality. The digital camera product line consists of Canon PowerShot, PowerShot G, Digital IXUS, the EOS and EF lens mount series. For instance, the Canon EOS 760D offers top notch performance, amazing image quality and fantastic features such as LCD screen, external controls and touchscreen interface that put the model at par with expensive professional cameras of the industry. Moreover the fact that you get this amazing device at a price which even the most novice users can afford makes it a clear winner in our list. A subsidiary of the Mitsubishi group, Nikon is a well-known brand in the world that bags the spot as the world’s 2nd leading camera manufacturer. It is also credited with the honour of giving NASA its first DSLR camera (NASA F4)! Found in 1917 by Nippon Kogaku Kogyo Kabushikigaisha, the brand is currently the second largest manufacturer of optical products. The D5 series with its high-end features and compact durable design is especially popular among customers. The rugged metallic body, a 173-point AF system (among the best autofocus systems) and the high resolution picture quality only add on to the brand’s credibility. The most recent addition to the list is the Nikon D500 model that has tweaked and improved on a lot of features. For instance, the full frame sensors are now replaced by a 20.9MP APS-C chip that is competent for taking shots at a flexible 10fps angle. Founded in the year 1946, this tech giant has rapidly become a leading brand in consumer electronics. Sony is the third largest manufacturer of digital cameras. The user friendly and very responsive models are a hit among both professionals and amateurs. With its cutting edge technology and elegant framework, the brand is the third largest manufacturer of digital cameras in the world. The Alpha SLT-A57 Black SLR, Cyber-shot RX100 and NEX-F3 are among the top products of Sony. However, the recent addition to the list, the amazing A7 series featuring a revolutionary mirrorless interface is a class apart. With its high resolution and picture quality Sony’s top mirrorless camera is a real show-stopper. The A7R II model boasts of a whopping 42.4 megapixel sensor and a high resolution electronic viewfinder design. Also the integrated 5-axis image stabilization system and real time viewing feature make the model a delight for both photographers and videographers. Considered to be among the most trusted names when it comes to cameras, Fujifilm is known for its cutting edge camera lenses and optical devices. One of the most popular products launched by this brand is the Funjinon lenses, a unique technology that is found only in Fuji cameras. The FinPix F, Z and XP series of digital cameras have earned worldwide acclaim for their sharp picture quality and is prized by many professional photographers. The X-T10 and X-T1 are known for their excellent build and high resolution weatherproofing systems. Also, the smart full frame sensors and AF technology make Fuji cameras a hit among photographers. Other top models by Fuji include X-E1 and X-Pro1. The compact DSLR body, superb image quality and various film simulation modes contribute to Fuji’s appeal and unmatched charm. Panasonic is among the top global brands in the market known for its smart, efficient and robust electronics. The range of digital cameras launched by the company only upholds its reputation. The compact, very responsive and user friendly cameras offer excellent image quality and screen resolution. Moreover, its recent collaboration with Lumix, a Japan based company formed in 1918 has only boosted its credibility among its competitors. The first models of Lumix were released back in 2001 and the company hasn’t looked back since. Armed with the state of art Leica lenses, the Panasonic models boast of unmatched German engineering and top notch quality. Popularly known as “travel compact cameras”, the Panasonic TZ70 is suited for both novice and serious photographers. The powerful zoom lenses (20x-30x), responsive design along with the manual exposure settings allow users to shoot raw files. Also, the built in electronic viewfinder featured in the more recent models, the TZ80 and TZ100, have already created quite a stir in the market. Even the DMS and ZS series is a delight to work with thanks to its sensitive MOS modelling and powerful optical zoom. Considered to be a major American digital camera company, GoPro was found in the year 2002 and since then it has gained quite a reputation in the industry. For although the brand is relatively new the camera models offers amazing HD picture quality and easy operation. GoPro cameras are extremely compact and portable, a delight for amateur photographers and travellers who love to capture all their adventures in the frame. The digital cameras come pretty handy in trekking, hunting, surfing and skydiving trips. From the Hero series to the recently launched GoPro Karma project, the enterprise has added a whole lot of really cool features such as a removable handheld stabilizer (gimbal), 3-way mounting system and harness for better photography. The digital Hero+ especially stands out among all its products thanks to its smart Wi-Fi and Bluetooth connectivity, waterproof framework and QuickCapture feature. The robust camera is also very light on your pocket, a delight for amateurs who wish to pursue photography but don’t really have the monetary backing for it. A popular name in the world of electronics, Samsung is a brand usually associated with smartphones and television sets. But this giant South Korean multinational conglomerate is also a major manufacturer of digital cameras. Yes, the company has become a credible player in the market thanks to the superb quality cameras featuring revolutionary features. Samsung has been known to focus its marketing strategies on the younger generation and its digital cameras are no different. Replete with a wide range of cool features, the Samsung DSLRs hold a massive appeal for the youth. With its cameras offering unmatched image clarity and sharpness along with Wi-Fi connectivity, Android interface and Selfie mode, this is a perfect brand for the tech savvy. The new NX300 model converge the interchangeable camera and an Android powered 20MP APS-C sensor that guarantees impeccable image quality and smooth shooting experience. Also the large 4.8 inch HD touchscreen with built in 4G internet connection makes the device a hit among both novice and professional photographers. This Japanese company was originally a glass maker going by the name Holy Corporation. Today, everyone from professional photographers to camera enthusiasts has heard of the brand Pentax. The company had its first moment of glory back in 1957 with the launch of the Asahi Pentax single lens reflex cameras and it has not looked back since. Pentax is a wonderful option for amateurs who want a camera that’s somewhere between a low end digital camera and a full blown professional DSLR. Some of its best models include models such as Pentax K-3, Pentax K-50, Pentax LX and Pentax Q7 series. The Pentax 645Z with its 51.4 megapixel quality, huge sensors, flexible viewfinder and Pro SLR system offers spectacular resolution and range. Also the 27 point phase detect autofocus feature is so cool! It allows a much rapid and swifter image shooting than its competitors. Even the Pentax K1 series is a competent model with its solid weatherproof structure and full frame DSLR design. Another Japanese company in our list is Olympus, a brand established in the year 1919 that specialises in cameras, medical, surgical and industrial equipment. From roll film cameras and single lens optical devices to digital cameras you get everything here. The company is also known for its competent and highly responsive image analysis software and applications that assists you in better editing. In fact it was Olympus that introduced the path breaking Four-Thirds System standard in DSLR camera photography. The enterprise is the biggest manufacturer of the Four Thirds Lenses also known as Zuiko and has a reputation for launching non SLR (mirrorless cameras) that features interchangeable lenses. Most of the mirrorless sets are more compact and less intrusive than a DSLR. But what really steals the show is the newest addition to the list, i.e. the OM-D E-M1 MARK II that comes with a weatherproof body, a 60fps sequential shooting system, 5-Axis image and 20MP Dual AF. Also the 4K cinematic video setting, Image stabilisation and Wi-Fi connectivity make is a rage among professional photographers and filmmakers. Kodak is perhaps among the oldest camera manufacturing brands that are still in business today. Found in the year 1889 Kodak has an amazing reputation of launching film cameras and other optical devices for over a century now. Its contribution to the world of photography is both imperative and significant. For although Kodak is not much of a player now, there was a time when this brand ruled the market and hence is worth a mention. Its revolutionary technology has made a great difference in the imaging technology industry and the brand was dominant for most of the 20th century. The company dropped what was possibly the first digital camera in 1975 and by 1996 it had launched the DC-20 and DC-25 series. It was a leading camera brand in the mid-2000s; however sales dropped by 2010 as better brands entered the picture. Leica is a German optics enterprise that manufacturer all kinds of cameras and digital photography devices. The company is particularly known for its rangefinder cameras that are used for street photography. Earlier known as Ernst Leitz GmbH (Leica is a combination of the three), the organisation is now divided into 3 companies, namely, Leica Camera AG, Leica Geosystems AG and Leica Microsystems GmbH. The later companies develop geo-survey microscopes and equipment respectively. The Leica cameras on the other hand were known for their antique, unique framework, mechanical design and cine Summilux-C lenses that are used for cinematic projects. It is a popular brand among late 20th century filmmakers and photographers such as Elliot Erwitt, and Bruce Gilden. The Leica Q model is especially known for its fixed focal length lenses and 24 megapixel full frame sensor. And with their collaboration with Panasonic has only led to more path breaking camera designs (the Leica/Panasonic models were the first to incorporate optical image stabilisation feature in their models). However the cameras are usually overpriced and are best suited for the elite. The DSLR is probably the most popular camera type in the market today. With its huge sensors and interchangeable lenses these cameras are a hit with professional photographers who require absolute clarity and precision in their images. As the name suggests, Compact Cameras are small and easy to carry around. It is a perfect device for travellers, amateur photographs and families that love taking pictures every now and then. However the cameras are not really big on quality and hence not preferred by professionals. Mirrorless cameras are basically a simpler, more portable version of the DSLRs. The sensors are very similar to those of the DSLR and so is the interchangeable lens system, it is only the outer framework and design that sets the two camera types apart. With more and more high tech models being launched almost daily in the market it becomes increasingly difficult choosing the right camera. However remember, when it comes to buying a digital camera, you have to trust a popular brand. Go for a company that has been tried and tested by users over the years. You’re probably familiar with most of the names mentioned above, although there are many other competent brands that you can consider. Consider all features, technical aspects and functionalities of the model before you make an investment.